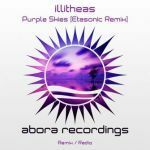 Abora is proud to present the 100th release on our original and main imprint. This is Abora 100: Timeless Favorites! 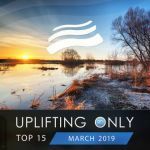 Fans have voted for their favorite Abora tracks of all time, and this mix compilation brings together the ten tunes with the most votes. 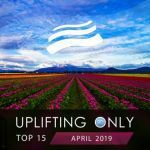 Abora's story was written by big names such as SoundLift, Afternova, Andy Blueman, Kelly Andrew, New World, Playme, illitheas, Geert Huinink, and Driftmoon, joined by a multitude of new talented artists. Together they released countless musical jewels, each of them delivering their share of unforgettable emotions. For this very special release, we wanted to recall some of those memorable times, so we asked our fans to pick their favorites. The winners have then been integrated into a continuous mix by the amazing Ori Uplift, Abora's CEO and owner, who leads us into an epic uplifting musical experience. There are also two additional tracks in addition to the vote's top ten. One is a fitting Favorite Classic to represent the early days of the label. For this, Ori has chosen SoundLift's now-classic remix of Abora's first-ever release: Icone – Sorrow, from 2004. 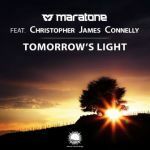 This track was one of Abora's earliest bestsellers and brought together the label's first release and its first official A&R manager (SoundLift). The other is a never-before-released bonus track: the Peaceful Orchestra mix of one of the fan vote's top ten: Playme's Peace & Serenity. We would like to dedicate this release to our amazing artists, our faithful fans all around the world, and everyone who has helped build the success of Abora. Enjoy a wonderful moment with our Timeless Favorites!